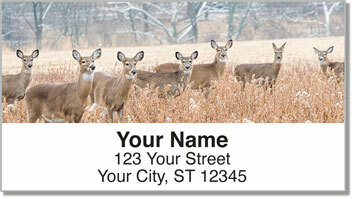 Candid nature photography of deer in wintertime makes these unique return address labels an excellent choice for lovers of the outdoors. Whether you are hunting deer for sport, or simply spot a Whitetail on the side of a country road, seeing these beautiful animals is always a remarkable experience. 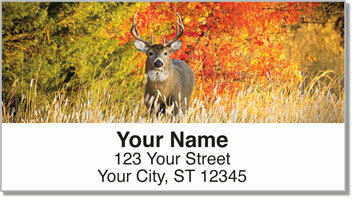 Now you can remind others of those amazing moments when you use self-adhesive Deer Address Labels on your outgoing mail. 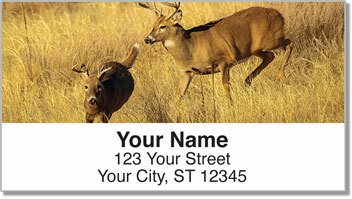 This convenient product can also be used to label personal property as your own. 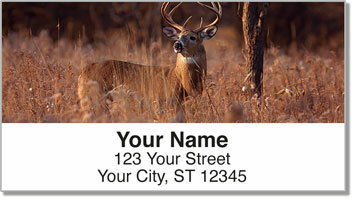 Order Deer Address Labels from CheckAdvantage right now! We are pleased to offer this exclusive design in matching personal checks as well.